Fahaheel English Madrasa emerges champions in the inter-madrasa soccer championship tournament organized by the Education Board of Kerala Islamic Group, Kuwait. The Fahaheel English Madrasa Team lifted the Shifa Al Jazeera Al Nahil Championship cup after defeating Fahaheel Malayalam madrasa 1 – 0. The ‘golden boot’ trophy for the best scorer and the best goal keeper trophy of the tournament was bagged by center forward Nik Mohammed Danish and Buyung Muhammad respectively; both of whom represented Fahaheel English Madrasa. 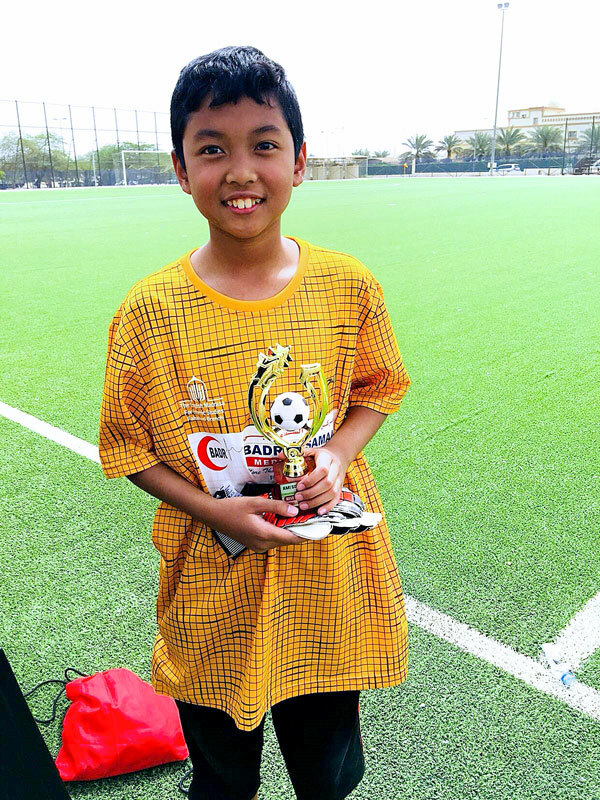 The trophy for the best player was won by Mohammed Shayan Afsal, striker of Fahaheel Malayalam Madrasa; who despite being only 11 years old astonished the crowd with his exceptional soccer skills. 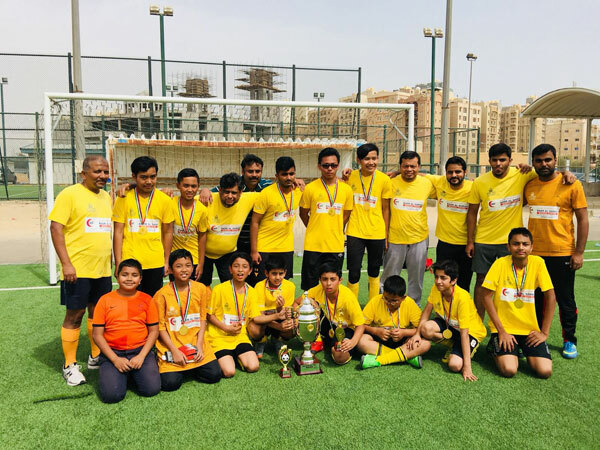 In the tournament organized for the Parents and teachers of the Madrasa, Fahaheel Malayalam Madrasa won the championship defeating Salmiya English Madrasa with a score of 2 – 1. 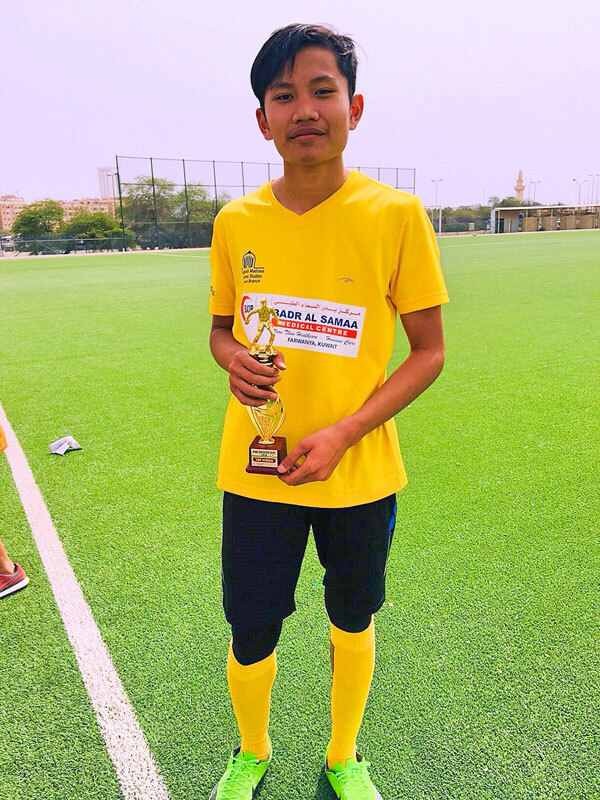 The ‘golden boot’ trophy for scoring the maximum goals was won by Mohammed Sajid AC, center forward of Fahaheel Malayalam Madrasa. The best player title was won by the defender of English Madrasa Salmiya Mubarak Mohammed Kabeer and the best goal keeper title went to Anees Abdul Salam of Farwaniya Malayalam Madrasa. 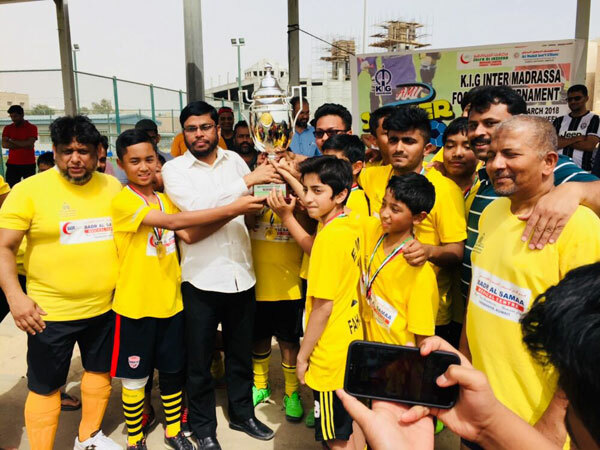 KIG President Sakkeer Hussain Tuvoor awarded the championship trophy and medals to the winners while the runners up cup was awarded by KIG Education Wing Secretary Mohammed Shafi PT and the medals were distributed by Najeeb MK – Vice President KIG Kuwait. In the tournament that was conducted at the Fahaheel Public Authority Soccer Field, Najeeb VS and Rafeeq Babu controlled the matches. Muneer, Shereef Valloth and Feroze were the official referees of the tournament. 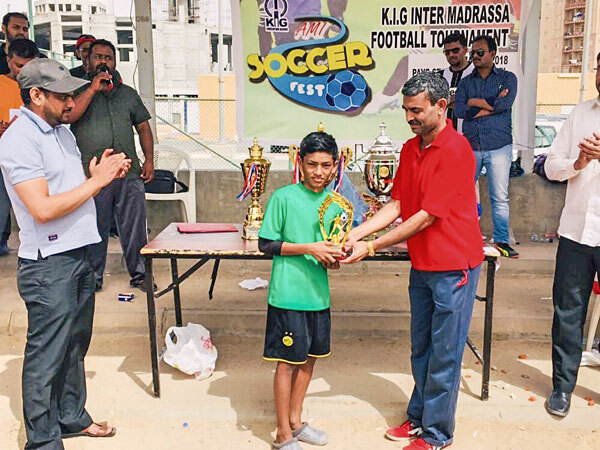 The tournament was being conducted as a part of the Madrasa curriculum to instill team spirit and promote sports activities among the students of the Madrasa. The championship was played between the teams of the seven-madrasa’s managed by of the Education Board. More than 1,500 students are currently studying in these seven Madrasas spread across the country. The four Malayalam Madrasas are located in Abbasiya, Farwaniya, Salmiya and Fahaheel. The three English Madrasas have branches in Khaitan, Salmiya and Fahaheel. Classes are conducted on all Saturdays from 8:00 AM to 1:00 PM. Various subjects including Quran recitation, Tajweed, Quran Hifz, Islamic History, Islamic Studies, Fiqh, Hadees, Tafseer, Arabic and Malayalam language are taught by well experienced and trained teachers. The madrasa syllabus is reviewed on a yearly basis and is updated to implement best teaching practices and in line with the current educational standard across the globe. Teachers training programs are conducted every year to enhance the teaching skills of madrasa staff. Career guidance, counselling and motivational sessions are also conducted for the students. Various arts and sports events have been included in the curriculum and are being conducted on a yearly basis. Among the extracurricular activities included in the madrasa curriculum are Quran competition, sports competitions, soccer competition, yearly picnics, yearly education tours, parent’s teacher’s association meet, children’s art club, publishing of students handwritten magazines, exhibitions based on various Islamic themes and Islamic Quiz competitions. In short, we at the madrasa ensures that learning is fun, creative and challenging; not just in terms of academics but in terms of physical, mental and psychological well-being as well.